Ironhide is remolded from Combiner Wars Deluxe Stunticon Offroad. 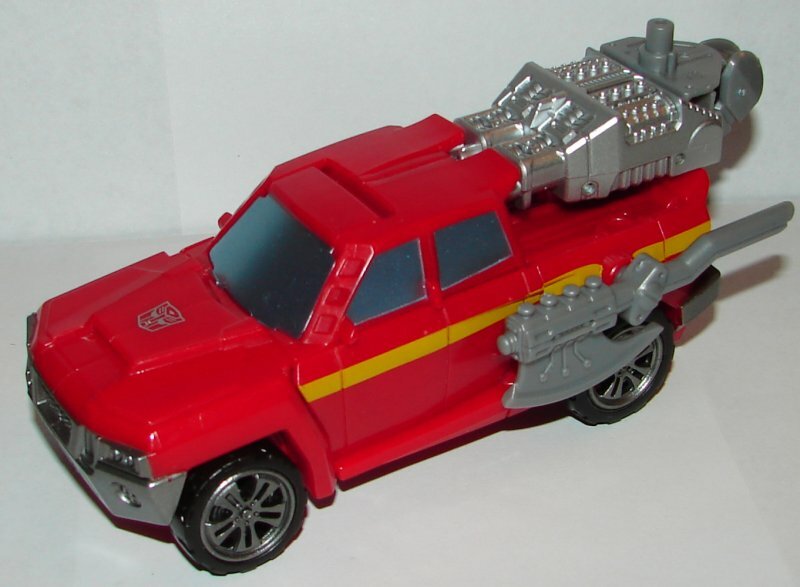 Vehicle Mode: I am okay with a pick up truck mode for Ironhide given that he has been a pick up truck before. (RIP, Movie Ironhide.) This toy still has the original flaw that the guns are pointing at the cab. If he fires them he will blow himself up. This is an idiotic design mistake. 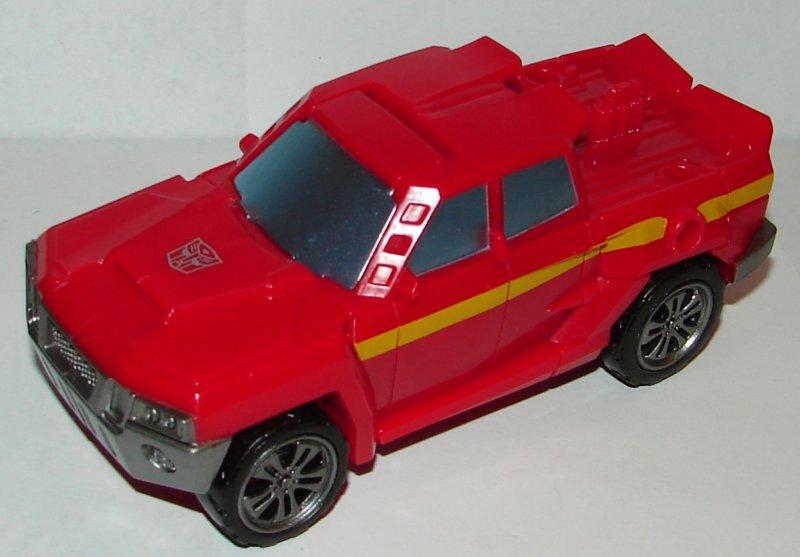 He does have a very simple G1 paint job in red with the yellow stripe. Looks nice, his suicide guns not withstanding. Robot Mode: His head sculpt is interesting. He almost looks like a younger version of G1 Ironhide. It’s not bad, I like it, but it just doesn’t look like G1. 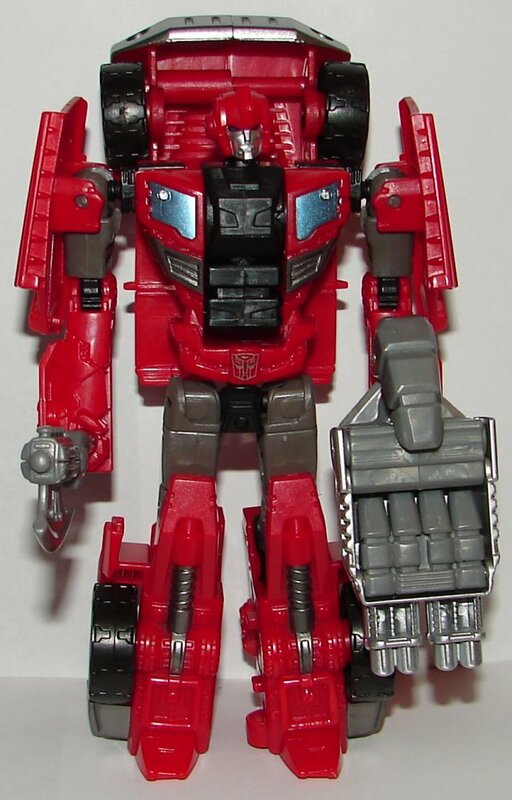 Ironhide’s robot mode is the perfect example of Hasbro’s failure to do remolding when needed. They could have easily remolded the sides of his chest and the center part to give him a classic G1 Ironhide blue painted window. It would have been easy and not affected transformation. It’s this kind of cheapness that really pissed me off. Hasbro once again shows an inability to respect their own classic characters. I’m not asking for a whole new toy that is a minivan, I just want the window in his chest, and it could have been done easily. 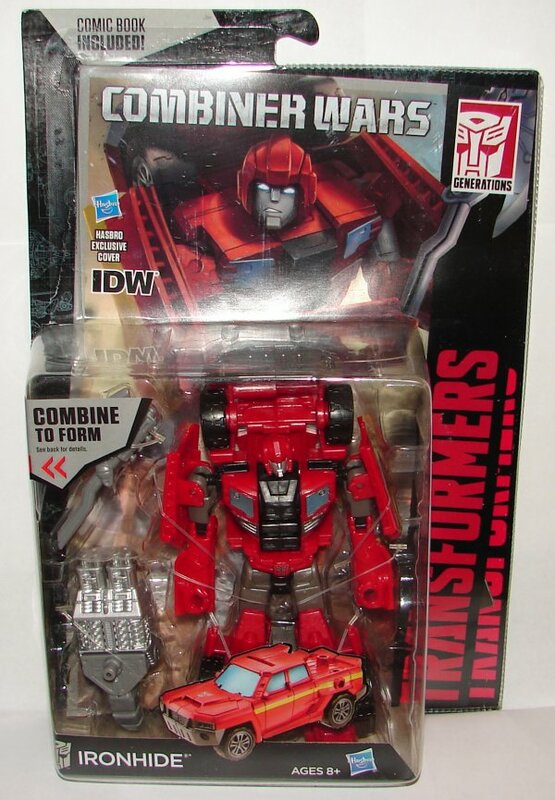 Overall: Ironhide’s not bad, but he could have been amazing with a little remolding. It’s Too bad Hasbro doesn’t think ahead about these things. They could just put the extra parts they would need into the original mold like they sometimes do with head sculpts. 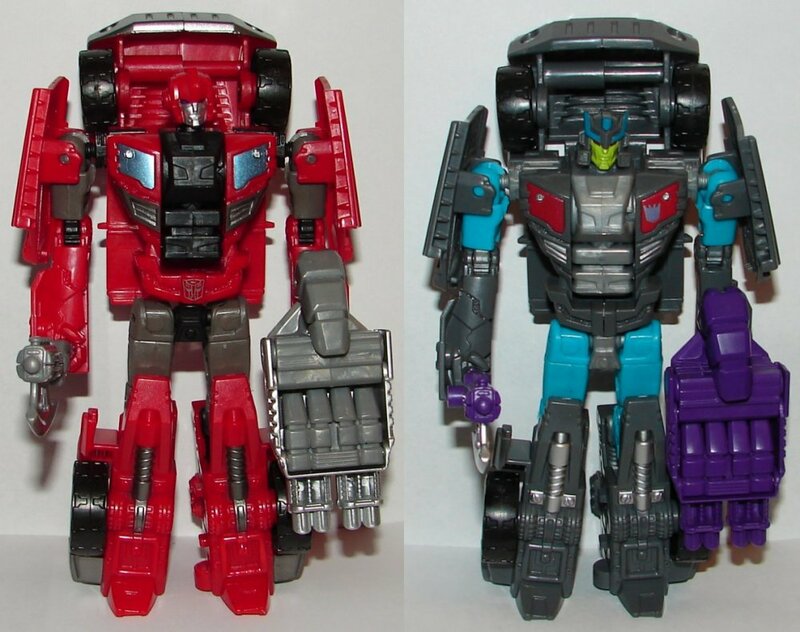 The other part that bothers me about the failure to remold the chest, is that Offroad was remolded into First Aid. With a new head and they parts the should have remolded for Ironhide, they would have Ratchet. Why is it that they aren’t thinking of these things? This entry was posted in Toy Reviews, Toys, Transformers and tagged Combiner Wars, Generations, Ironhide, Toys, Transformers, Transformers Generations. Bookmark the permalink.